At age 90, Fidel Castro died on November 26. I landed in Havana on day three of the official 9-day period of mourning. The city was silent. 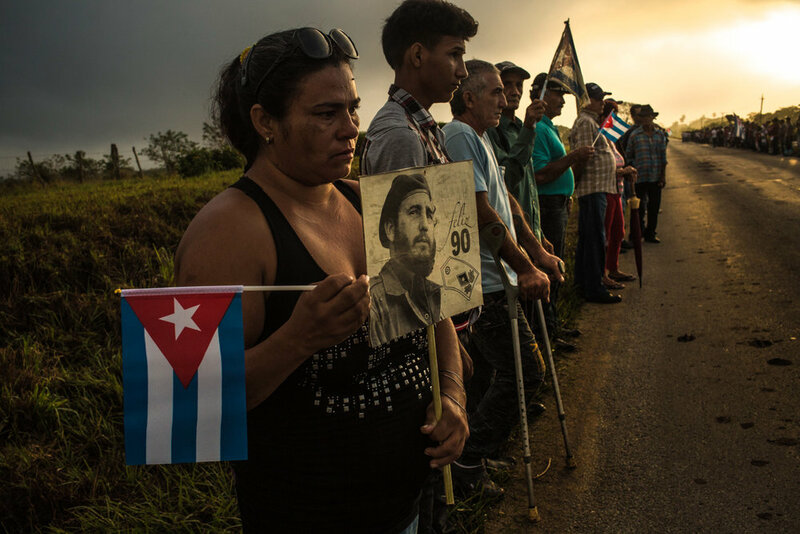 From the capital, Fidel’s ashes were taken in cortege across the entire island to the city of Santiago were his revolution had began 63 years before. I rented a sky-blue 1949 Chevy and followed the procession. 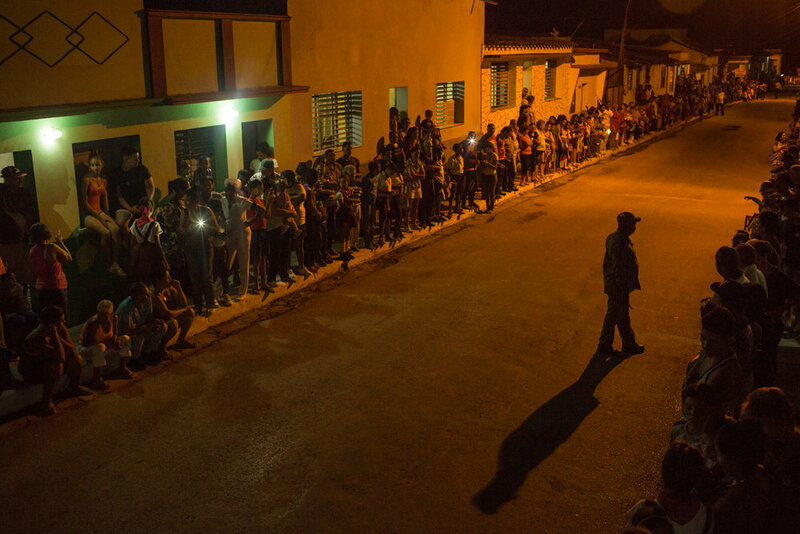 For four days I drove past hundreds of thousands of Cubans, lining the highway and standing in rows along small town streets. They held their children above their heads. They waved flags and carried pictures of Fidel and Che in olive green military fatigues. They stood in the sun for 8 or 10 hours at a time. When the remains finally passed through their town, the elderly held their hands over their hearts or saluted. The young shot video with their mobile phones.